ZocDoc has been on a tear and its growth is only accelerating. Since launching in 2007, the doctor-appointment finding service has grown from a New York City-based phenomenon to a service available in 2,000 cities across 35 states. Today ZocDoc announced it will expand to every state in the continental U.S. by the end of this year. ZocDoc, which allows patients to make doctor's appointments and doctors to list their open appointment slots online in real time, will continue to operate out of New York City and Phoenix. ZocDoc's founder says the expansion is a major milestone given the company's humble beginnings. “If you can contrast that from six years ago, when I was the first sales person at ZocDoc going door to door, literally getting thrown out of doctor’s offices, that was obviously a very humbling experience, but more importantly, the Stone Age compared to where we are today,” says ZocDoc founder and CEO Cyrus Massoumi. 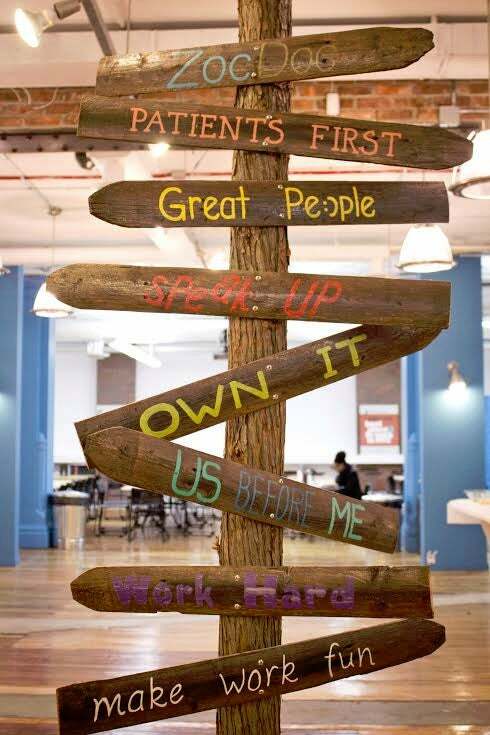 The ZocDoc values tree guides company growth strategy, with "Patients First" at the very top. In addition to preparing for national expansion, ZocDoc has also been growing its relationship with hospitals and health care providers. The company has added more features to its roster, like software allowing patients to digitally submit their personal health information, in an effort to position itself as more of a health care service provider as opposed to just an appointment booking service. ZocDoc sees itself gaining more traction as previously uninsured individuals enroll in Obamacare. The average person has to wait between 18 and 19 days to get a doctor's appointment and about 45 days in Massachusetts, where a version of universal health care already exists, says Massoumi. By comparison, ZocDoc fits in 60 percent of appointments within 48 hours nationally, including in Massachusetts, where the wait time is double that of the rest of the country.